Locational Advantage : Mansingh Towers is close to the Railway Station. 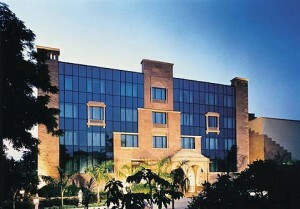 Hotel Mansingh towers is especially intended for the corporate travellers. Designed to mix business with pleasure, the Mansingh Towers promises to offer excellent service. Providing just the right ambience to the guests who are on business, Mansingh Towers has an Executive Lounge, with the ideal setting to work, from a library with a variety of books to integrated services like photocopiers to an executive secretary, light snacks, tea and coffee will also be served at Executive Lounge. Hotel Mansingh Towers has 45 Deluxe rooms and 8 Luxurious suites, providing all the mordern amenities and services like Centrally air conditioned, fax machine on demand in rooms / suites, laptop computers on demand in rooms / suites, Jacuzzi in all suites, which a business class traveller expects from a hotel of this category.